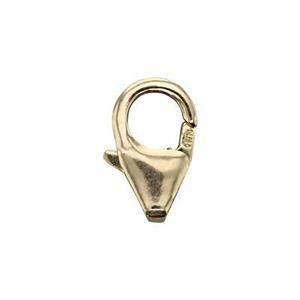 An essential gold filled jewelry clasp for your studio. This lobster claw is easy to grab and latch. A steel spring inside keeps the trigger secure so your necklace is protected. The oval shape blends perfectly with curving lines and rounds. A great way to finish many of our gold filled jewelry chains.